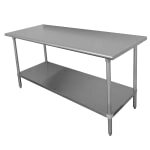 The Advance Tabco SLAG-185-X work table has an undershelf for storing equipment and other supplies. With the square ends, it can be placed against other tables, counters, and appliances. The front of the table is comfortable to lean against since it has a 15⁄8-inch rolled front rim top. 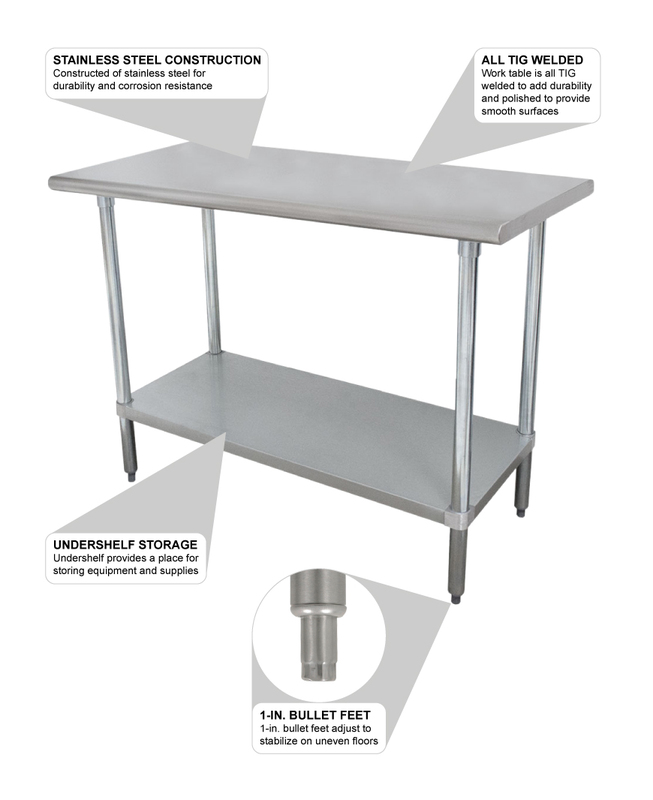 For durability and to create smooth surfaces, the table is all TIG welded. Constructed of stainless steel, the Advance Tabco SLAG-185-X work table has durability for high use in commercial settings. The legs have 1-inch adjustable bullet feet, allowing the table to be placed on uneven floors.